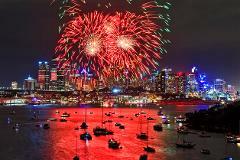 See the 9pm NYE Family Fireworks celebration from the heart of the action, in an open-top 8.5m power boat. See the world famous NYE fireworks celebration from the heart of the action. 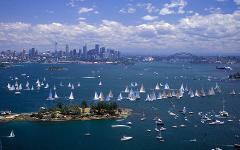 Watch the start of the world famous ‘Sydney to Hobart’ yacht race and follow the flotilla to the heads, then head to picturesque and historic Quarantine Bay for lunch and an afternoon swim. 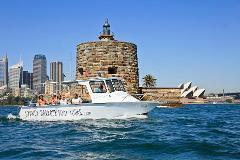 Celebrate Australia Day on the harbour with a small group on our action-packed half-day experience. 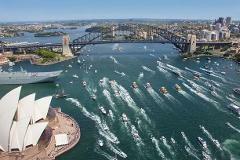 See all the celebrations and races, then head to a harbourside beach for lunch and swimming.